At Renovo International Limited we are continually striving to produce excellent quality products, together with exceptional customer service. 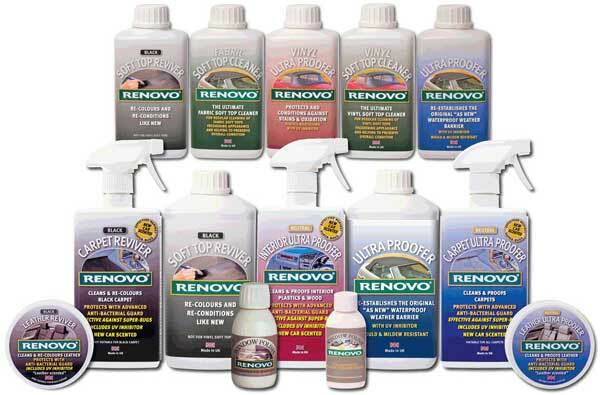 Renovo is well renowned for our prestigious range of six car care products suitable for use on fabric and vinyl soft tops. These have proved to be highly effective in their application, so much so that some are used in widely diverse marketplaces such as marine, aeronautics, and awning restorations to name just a few. Renovo’s unique Reviver range, our flagship product, is our widely acclaimed colour reviver for fabric soft tops, it is available in Black, Dark Blue, Dark Green, Dark Brown and Dark Red/Burgundy to match your car; whether it's an Aston Martin, Audi, BMW, MG, TVR, Porsche or Jaguar. Completely dedicated to your satisfaction, Renovo values feedback from customers, suppliers and non-customers alike, if there is anything you would like to request or recommend please Contact Us. 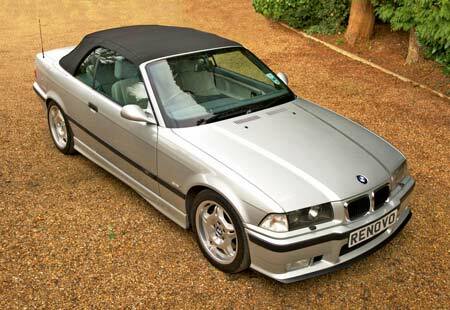 Trade Enquiries can also be made via the Contact Us page. Renovo now also have a website dedicated to the marine market, Renovo Marine.